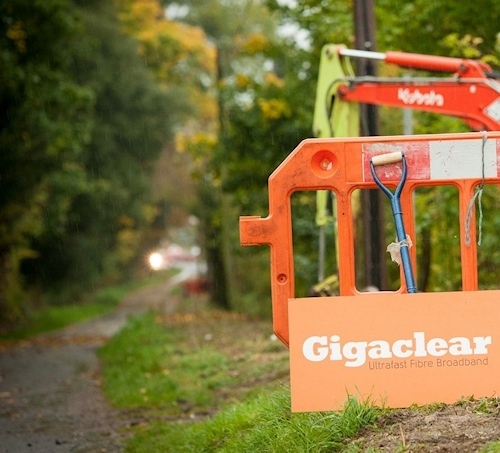 Rural fibre optic ISP Gigaclear has today celebrated the connection of the 15,000th customer to their 1Gbps capable Fibre-to-the-Premises (FTTP/H) ultrafast broadband network, which now covers 60,000 homes and businesses across 20 counties of the United Kingdom (25% take-up). The commercial operator has made a seemingly viable business case out of deploying FTTP/H networks into rural areas. On top of that they’ve also signed numerous state aid supported deployment contracts (mostly in the South West, Midlands and South East of England), with the aim being to cover 150,000 premises by the end of 2020 (here). 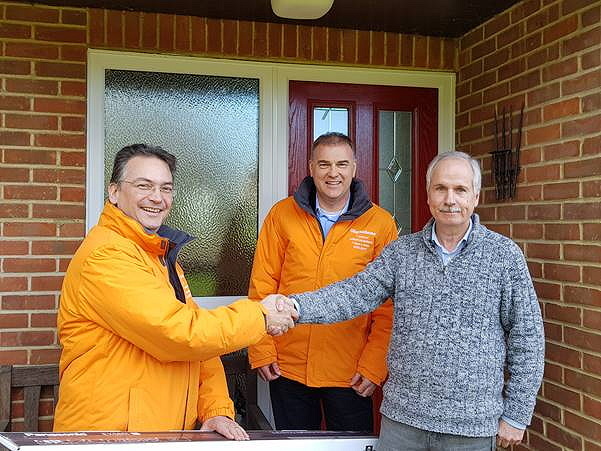 Apparently their 15,000th customer was Phil Patrick, who lives in a village near Bradfield in West Berkshire. “We have come a long way since we delivered our first full fibre network in rural Rutland at the end of 2011. I’m very proud that in just over six years, Gigaclear has become such a significant challenger in the rural broadband market. It’s always great to meet our customers and hear how our service is transforming their lives, so I’m really pleased to mark this occasion. “For me, a fast and reliable connection is essential. I rely on the internet to run my business from home; I frequently upload and share documents whilst liaising with my clients over the internet, so a strong connection is key. With our previous copper line connection, our speed was limited to a maximum of 4Mbps, which would noticeably dip at peak times and massively restrict my ability to work. Gigaclear said that they expect their customer base to reach 20,000 customers sometime this summer 2018. 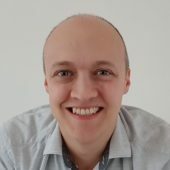 We should point out that take-up is something that grows organically with time and 25% is a respectable level for a provider at this stage of development, especially given their increasing focus on general deployments instead of focused demand-led ones. How nice to see blanket SYMMETRIC coverage and not a whiff of excess construction charges either ! But they do have installation charges ranging from £129 up to £xxxx…. Most people remain unbothered by the asymmetry. On this very website the asymmetrical services being sold by KCom in and around Hull seem to be doing well despite being based on evil Passive Optical Networks and not being sold as symmetrical. I’ve actually just had a quick look at the Gigaclear website. You are aware, Walter, that there are 4 different install bands on Gigaclear services, one of which requires custom survey? That looks an awful lot like excess construction charging to me. That or of course people carry out the install themselves or hire their own contractors. Bargain compared to some ive seen from BT. Take-up is complicated and a lot of issues play into it, such as higher prices, people being stuck in long contract terms, awareness of the new network, uncertainty about switching (loss of phone number, downtime etc.) and so forth. It grows over time but also not everybody feels a need for faster connections, especially many elderly users. I would guess that pricing is a fairly large factor. When you can get ADSL + phone line for around £20 a month, asking someone to pay double that (just for internet) will only appeal to the people that want and needs the faster speeds. You would hope that Gigaclear do a lot of local marketing (flyers/newspapers/radio/door to door) after completing a network to make people aware of their presence. It would be quite interesting to see a market survey in a Gigaclear area about awareness/pricing/speed. I’m not sure you’re appreciating how many ISPs would bite your arm off for 25% uptake. How many of those ISPs with a 25% uptake would bite your arm off if they had to build the network? FTTC gets only that kind of uptake, often less. At a Christmas drinks I was talking about this with someone from Ofcom and he admitted that most people don’t care about super fast broadband. I am a tech guy and I haven’t gone for the maximum speed that VM offers in my area, the difference between 200Mbps and 300Mbps isn’t big in day-to-day use. Hmm. FTTC uptake is getting on for 40% now. Virgin Media uptake is also around that level. Obviously there will be cabinets like mine where uptake is very high and cabinets where it’s not so high. Cable.co.uk’s journalism has at times been interesting. The article in question there reads like a hit piece with not a single sniff of any dissenting views from the one the article puts forward. People mostly don’t care how the signal is getting to their home. I would speculate rather than obsessing over the physical medium people consider cost and speed to be more relevant, alongside reliability. FTTP does, of course, have the best reliability and in the UK BT’s FTTP the best of all due to where the OLTs are and their power supply – no operator delivering from cabinets can match that. A quick read of the Gigaclear website suggests that their uptake is far more likely to be harmed by that the cheapest product they offer, symmetrical 50Mb, is £41.30 a month for broadband only. I imagine most aren’t really going to be that bothered by how the service is being delivered at that price – even though Mr Wilcox would immediately write it off due to it not being symmetrical or full fibre FTTC is available at 52Mb alongside a copper phone line for that price. Link to the Gigaclear website kaput. I get https://www.awin1.com/cread.php?awinmid=11269&awinaffid=110483&clickref=ispreview whicj displays a tiny white dot on a black background. I am using Mozilla Firefox under W10 with Kaspersky Internet Security. I’ve noticed the same thing with other ISP sites linked to from your website. Hmm I’m also on W10 and FF but don’t see that. Suspect it may be some privacy or ad blocker feature somewhere or possibly corrupted browser cache (Firefox is not the best at cache management). Do you see the same in other browsers, like Edge? Hi Mark – yes it seems OK in Edge. Presumably not Kaspersky then. Most likely Mozilla even though I’ve told it not to block ads on this site. Thanks for your help.